"There was a time you could plough in to the hole in one on the 16th on a Sunday at some very juicy prices. One firm went 8/1 only two years ago but the penny appears to have finally dropped." We've got lots to digest on the Sportsbook for this year's US Masters (previewed here) and there are a few tasty morsels away from the normal fare. Nothing really grabs me in the top nationality markets but Bernard Langer to beat Martin Kaymer at even money is fair. Langer has finished in front of Kaymer in five of the last six years although that run has to stop eventually doesn't it? He might not look it but Langer's 61 now but he keeps returning to Augusta and doing himself proud so the standing dish amongst the sides may well reward backers again at least one more time. Georgia Tech graduate and Georgia resident, Keith Mitchell, is my idea of the most likely winner in the Top Debutant market. The market is dominated by Europeans - Matt Wallace, Eddie Pepperell and Lucas Bjerregaard - but if any of those three won an event the size of the Honda Classic, which Mitchell won in February, we'd all be surprised. Mitchell looks big when you compare US form to European Tour form but add in the fact that he'll have far more experience of the course and he starts to look a very solid proposition in what's often a trappy little heat to bet on. There are all sorts of weird and wonderful quirky bets listed underneath US Masters - Tournament Specials with the Sportsbook and the one that intrigues me the most is the 9/1 about there being a Wire to Wire Winner (Including Ties). It's a bet within a bet and whatever happens tomorrow, you will wake up on Friday with a live chance, or maybe more than one live chance. 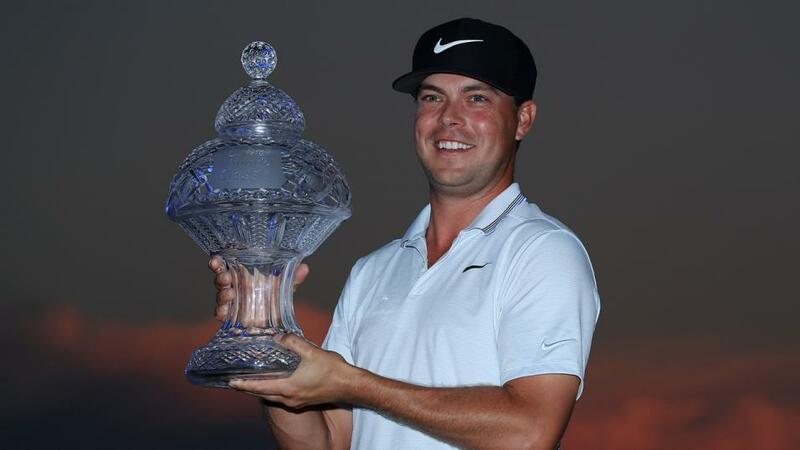 Jordan Spieth won wire to wire in 2015 and so did Trevor Immelman in 2008 so one could argue that the 9/1 is value anyway but add in the number of players that have very nearly achieved the feat and we have ourselves a sporting wager. Spieth was matched at [1.09] when he threw the event away at the 12th in round four having led from flag fall in 2016, McIlroy famously blew the 2011 edition having led all the way and by four with a round to go before he imploded on the back nine on Sunday and many will remember Greg Norman's equally famous collapse from six in front in 1996. I've only gone back as far as 1996 but we also have Fred Couples in 1998, who finished second to Mark O'Meara, having led through rounds one, two and three. Augusta is a front-runners' course. Phil Mickelson and Tiger Woods are the only two players to win from outside the top-ten after round one since that O'Meara win in 1998 so 9/1 looks decent. We could, of course, end up with a huge outsider leading alone on Friday morning but should Rory McIlroy and Dustin Johnson tie for the lead after day one, for example, the 9/1 will look massive. It also looks a very straightforward back-to-lay. Whoever leads after round one, whether it be one player or ten, just lay them on Sunday morning if any of them stay out in front through Friday and Saturday. There was a time you could plough in to the hole in one on the 16th on a Sunday at some very juicy prices. One firm went 8/1 only two years ago but the penny appears to have finally dropped. As you'll see with Louis Oosthuizen's ace from 2016 below (one of three that year! ), the pin is always placed in a little collection area and shots can gather down towards the hole from different angles. Up until 2004, there had only ever been 13 hole-in-ones at the US Masters but we've seen 15 since then and 13 were at the 16th. And all bar one occurred on the Sunday. The price has collapsed but given we've seen five there in the last three years, the 13/10 about there being another one there this Sunday is still more than fair.